Earn-A-Car is an affordable alternative to vehicle financing. For every monthly payment you make, we give you R300 in cash to spend as you wish. Many people put that money towards the total cost of the car they are renting. We give you a minimum of R250 towards servicing costs, something you certainly don’t get with traditional vehicle finance. You’ll get a towing subsidy of R500 with a nationally contracted tow company. We provide comprehensive accident cover and a courtesy car while your vehicle is being repaired. You’ll be covered by a comprehensive vehicle warranty during for the duration of your contract. 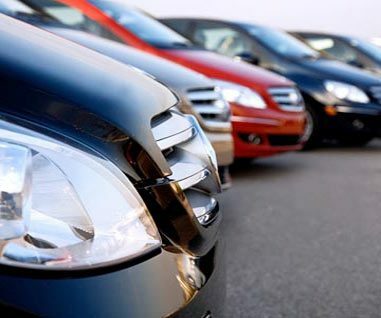 Traditional vehicle finance isn’t the only way to car ownership. Earn-A-Car provides an affordable alternative and we understand that many people have faced financial difficulties in the past. This doesn’t mean they should be excluded or exempt from ever owning a vehicle again. For more information about how we can help you get behind the wheel of a second-hand car without a car loan, or if you have any questions about how Earn-A-Car works, please do not hesitate to contact us today. We have helped many people get on the path towards owning their own car without vehicle finance and we look forward to assisting you.